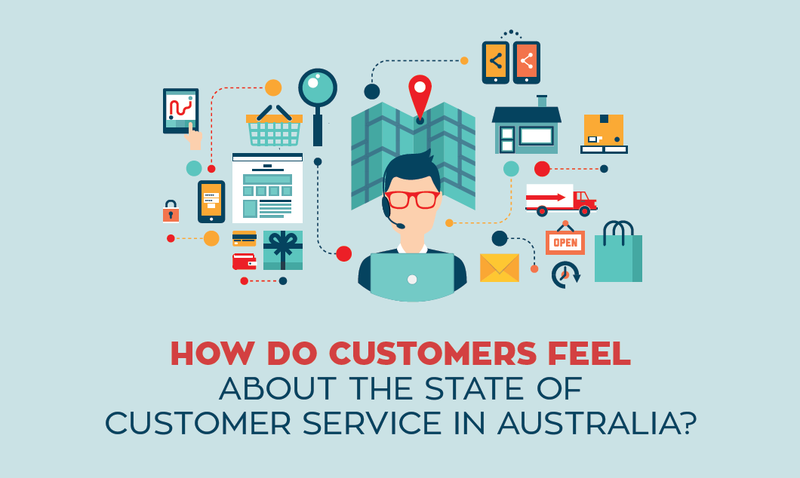 CPM Australia, a leading direct sales and contact centre agency and member of CPM International Group; partnered with ACRS to undertake a consumer research study analyzing the current state of customer service in Australia. The findings revealed that Australian consumers tolerance for poor customer service is lower than ever. A summary of the findings and downloadable infographic are available below. Today’s consumers are faced with more choices than ever when considering how they want to reach a brand. They’re more digitally connected, socially networked and better informed than ever before. Consumers are saying it’s still so hard to navigate and resolve customer service issues. These growing number of touch-points has had the negative effect of widening the gap between brands and consumers. To better understand these concerns and how customers feel about the state of customer service in Australia, CPM Australia partnered with The ACRS Omnibus Tracker to explore these challenges. The “State of Customer Service in Australia Report” reveals critical gaps between customer service expectations of excellence, ease and accessibility and the disappointing realities associated with a lack of consistencies and response. The research points out that the power of word of mouth still holds its top ranking as the most popular channel. It reveals that the majority of disappointed consumers share their customer service experiences with one to five people. For those who have had a negative experience, 79% will air their grievances with friends compared to 72% who will share their positive interactions. “It’s been a long standing belief that recommendations from friends and family is the most influential channel over all other forms of marketing. Yet, if consumers value word of mouth and marketers believe it’s effective, then why aren’t brand owners more focused on it?” said Martin Robbins, General Manager – Contact Centre, CPM Australia. “I believe that the problem is that for the last few years, brands and retailers have been more focused on “collecting” instead of “connecting” directly with customers,” continued Martin. In other words, brands can get too caught up in collecting social media fans while forgetting to actually connect with them. Having 100 really passionate fans that love your brand or product is exponentially more effective than having 10,000 “fans” who’ve signed-up just for the off-chance of winning a new gadget. The survey also reveals some costly realisations. Over one third (34%) of customers surveyed have stopped shopping at a company in the past year due to a poor customer service experience. In today’s competitive markets, brands can’t afford to lose sales due to poor customer service. This research validates that customer service stories are spread widely — especially bad ones – and in our experience, you’re typically judged by your resolution and not the initial issue. The quality and immediacy of contact, response and resolution of complaints or queries cannot be underestimated in a world where consumers are less brand loyal and where social media and word of mouth can make or break brands. In an age where technology dominates our lives, the research shows that dealing with human being trumps social and mobile channels. Across all the age groups, 61% percent attributed an important factor to good customer service experience was getting their query resolved on the first attempt and speaking with someone in Australia (60%). The study also suggests that social media and mobile channels will not solve customer service queries. For both simple and complex enquiries, customers’ top preferred communication channels for customer service based enquiries includes: speaking with a real person on the phone, followed by face-to-face (in store), and finally through email. Not only does the study reconfirm the notion that customers are seeking a human connection, but they are also seeking local Australian knowledge.